Hello world. I’m Maude. 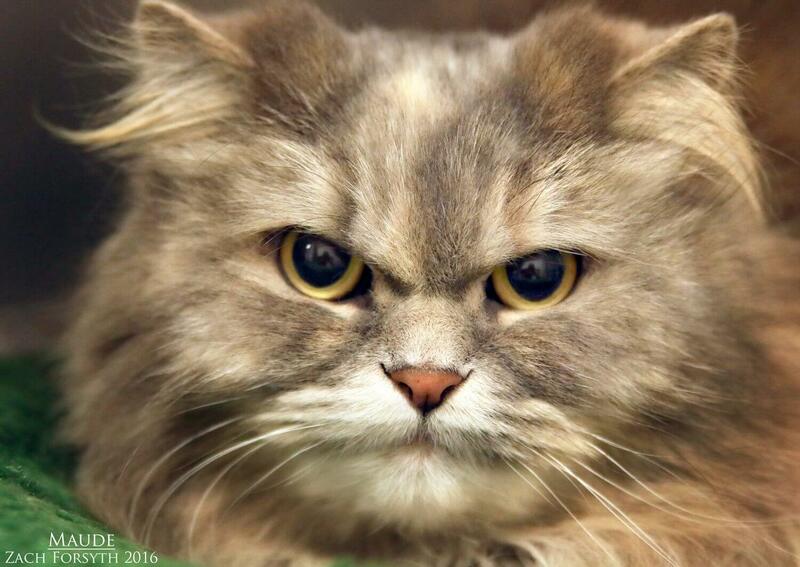 An 8lb, 5 year old Persian mix. Let my grumpy face entertain you but not fool you. I’m not really grumpy at all. I’m very sweet, social and love snuggles. I have a ton of personality and would love to keep a smile on your face. Want to hang with this sweet juxtaposition? Fill out an application and we can arrange a visit. I come to you fixed, microchipped and vaccinated with an adoption fee of $100.